After nearly two years of using a Blackberry smartphone, I thought it might be time to once again share the 3rd-party applications I’m using on my Tour 9630. Many of these are pretty common, but you might find a few that are new to you. Now that the Tour’s GPS is unlocked for 3rd party applications, Google Maps is more powerful than ever. It includes directions, business phone numbers, Google Latitude, and more. 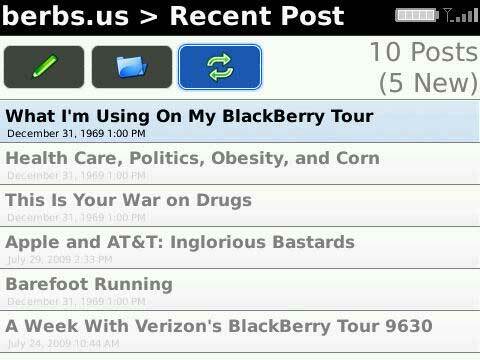 This is a must have for any BlackBerry user. Having been a GrandCentral user before Google Voice launched a few months ago, I was lucky enough to get a beta account to the updated service. 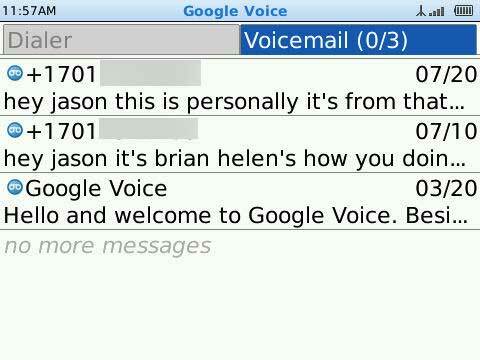 And while it was useful then, the Google Voice application for BlackBerry takes it to another level. The app adds a second dialer to the BlackBerry so that you can view your Google Voice call history and initiate calls from your address book in much the same way you would a normal call. Another neat feature is the word-by-word highlighting of the voice mail transcript as you’re listening to it. 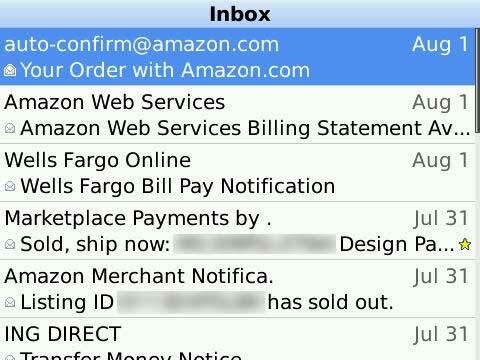 While I have my Gmail email coming into my BlackBerry inbox, having the Gmail application is a nice back-up. I usually delete messages off my phone as soon as I’m done with them, so if I ever need to search through my Gmail while away from a PC, this application lets me do that quickly and easily. 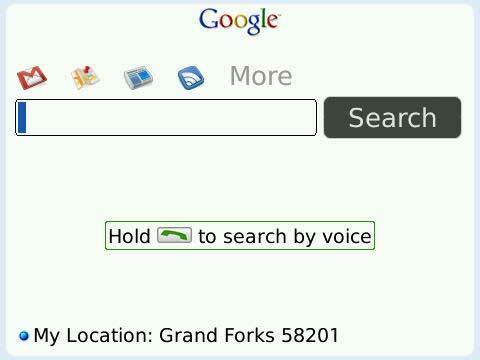 This application features local search, voice dialing, and also acts as a launcher for other Google services. The voice search is actually pretty good if you speak clearly, but I like to have our boys talk into the handset to see how Google translates them. One time it thought our younger son said “swine flu”. 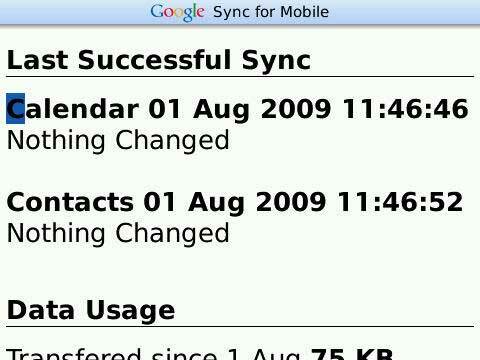 If you use Google Calendar and/or Google Contacts (via Gmail), Google Sync is a must-have. It does a two-way-sync between your phone and both services so that your address book and calendar are always current. 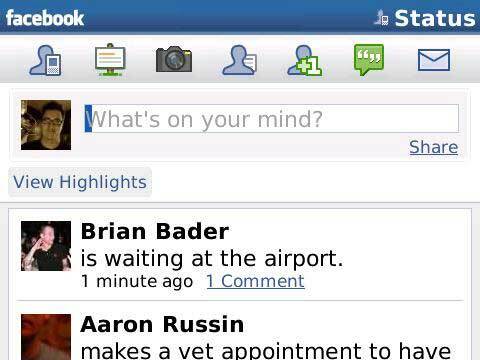 Arguably the best Twitter client for BlackBerry. It’s well designed, and despite some performance problems on the Tour, is one of my favorites apps. 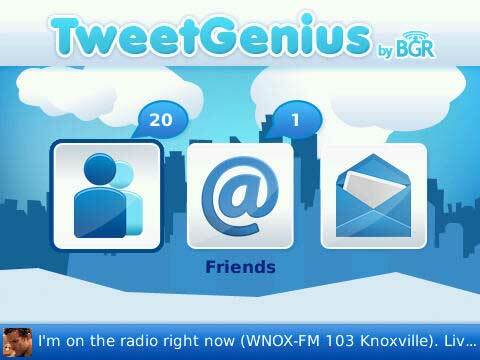 Note that TweetGenius is only available for BlackBerry phones running newer versions of the BlackBerry OS. The Facebook app is a great way to send messages and comments to your friends while you’re away from your computer. If you’re on Facebook, it’s a must-have. Plus, it means you won’t have to send a text message to Facebook ever again. BeejiveIM is a multi-protocol instant messaging application that works with GoogleTalk, MSN/Windows Live, AIM, Yahoo!, Jabber, ICQ, MySpace, and SameTime. If they just added Facebook chat and Skype chat, they’d have all the major services covered. The WordPress app for BlackBerry lets you add and edit posts from your phone. It’s much faster and easier than trying to do either through WordPress in the BlackBerry browser. Flickr for BlackBerry lets you take photos on your phone and upload them to the Flickr website for sharing. It works great, except when it doesn’t (photo uploads fail on a regular basis). 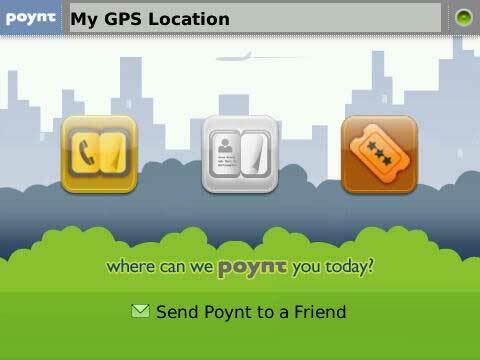 Poynt takes advantage of the built-in GPS to do some limited local searches (yellow pages, movie theater listings). My favorite feature though, is the reverse phone-lookup option it adds to to the call history menu. 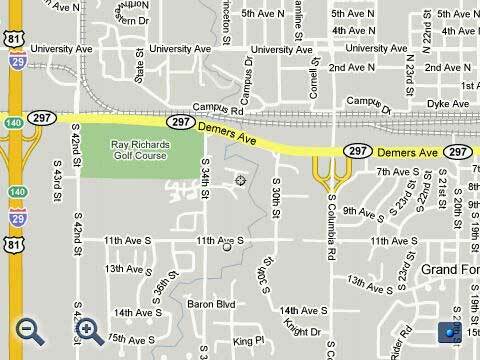 GPSed uses the BlackBerry’s GPS to track and record your location coordinates and then later plots them on a map for you. 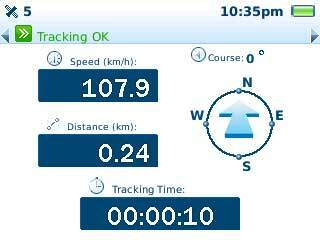 I’ve used it to record the distances on a few recent walks I’ve taken and have to say that it works quite well. WHERE, like Poynt, is a location-based application, but with more features. It also offers local Yelp reviews, Starbucks locations, gas prices, weather, news, and other content. If I ever need to capture something for use later, there’s a good chance I’ll send it to Evernote. 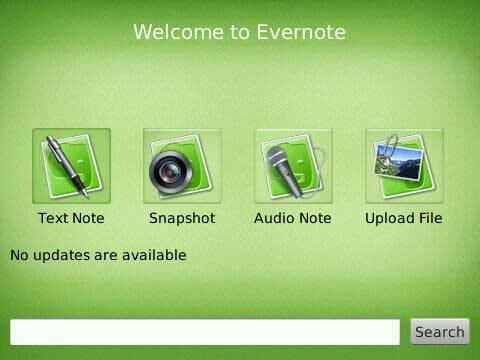 The BlackBerry app works with the web application to let you view your previous notes as well as upload new text, photos, audio, or other files. I just discovered Reqall a few days ago, but I’m already a huge fan. Reqall fills the void previously filled by Jott and Sandy. 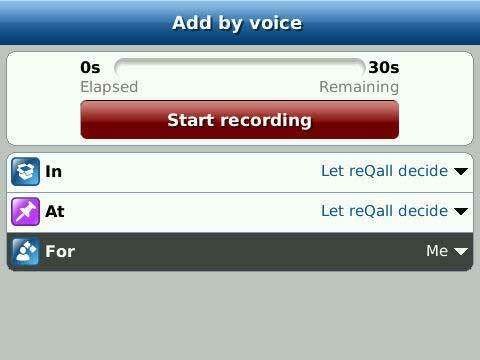 From the BlackBerry app you can call, text, or use the application to record voice notes, all of which are translated to text and parsed for dates, times, and keywords. They’re then added to your to-do list, calendar, or sent to another person if appropriate. Reqall also looks at the current time, your location, and other criteria to send you reminders exactly when you need them. Pure genius, and highly recommended. This is one of those apps that I wish didn’t even have to exist. Think of it as “bear shaving“. But, the BlackBerry platform is what it is, so frequent reboots are a reality and a necessity. 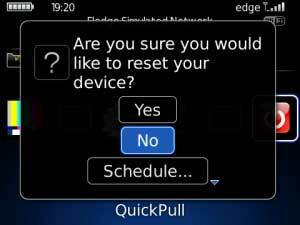 Instead of the infamous “battery pull”, however, QuickPull simulations one without requiring you to physically remove the phone’s battery. Best of all, you can schedule a reboot for the middle of the night (or whatever time you’d like) so that your BlackBerry stays responsive throughout the day. TetherBerry uses your regular BlackBerry data plan to connect your laptop to the internet, without requiring you to purchase a tethering plan from your carrier. Yes, you heard that correctly. Update: I’m not sure if this changed recently, or if I missed it when I downloaded it, but you’re now required to pay for a premium Slydial account in order to use their BlackBerry app. 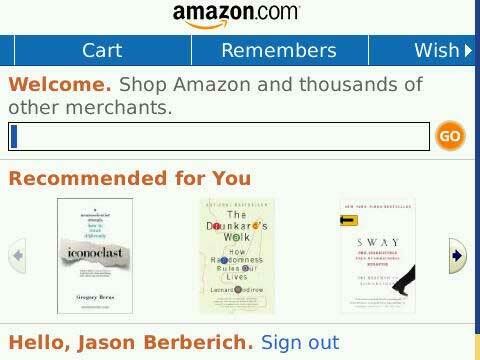 Because of that, I’m deleting it from my phone and retracting my recommendation. The Slydial app has one simple function. 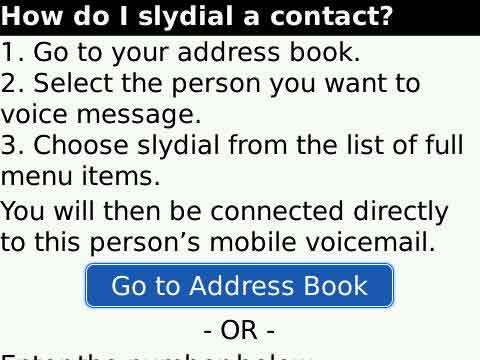 Select someone from your BlackBerry’s address book, choose slydial from the menu, and if you selected a mobile phone number, Slydial will bypass the normal dialing process and connect you directly to the person’s voice mail. Very handy for certain situations. 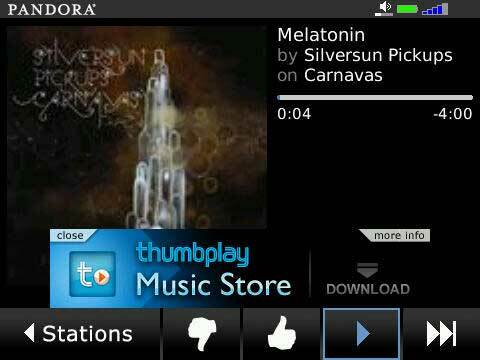 The mobile version of Pandora music streaming. It’s just as good as the web version. Enough said. I’ve opened up the Amazon app to check their prices while shopping in a store more times that I can remember. If you have Amazon Prime, like we do, one or two clicks and your item will be in your hands in a day or two, and usually for less money too. The Tour’s web browser is a substantial improvement over the Pearl’s, but there are some websites that it doesn’t handle very well. The Bolt browser is a good backup, as it’s fast and does a very respectable job of rendering most major websites I’ve tried in it. 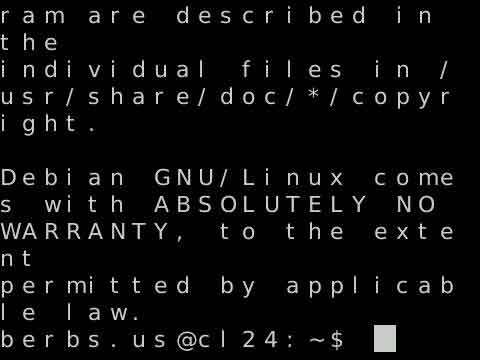 A free open source SSH client that can be used to remotely log into Linux/Unix servers. Very high geek factor, but indispensable if you’re a systems administrator.